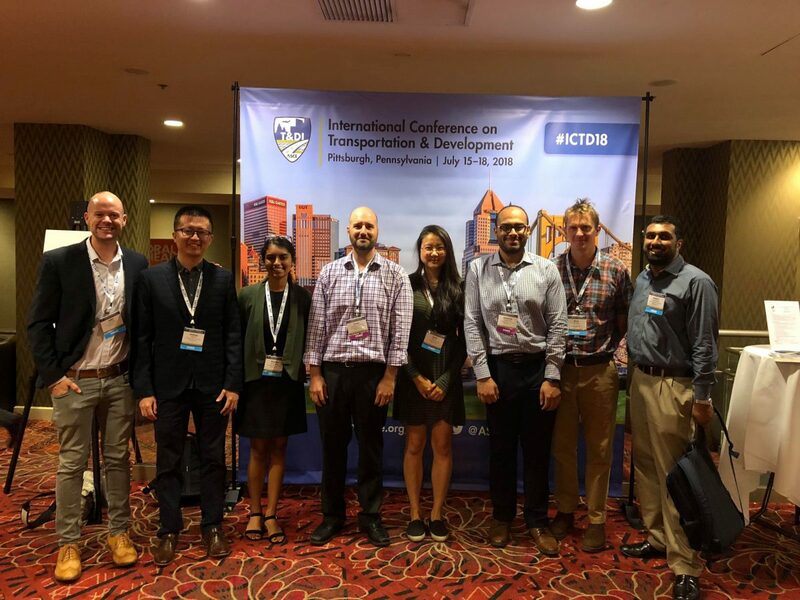 Two University Transportation Center projects were presented at the ASCE Conference by CMU PhD Students, Xidong Pi and Matthew Battifarano. CMU Undergrad and Vice President of the CMU ASCE Chapter, Sharika Hedge, participated in the Three Minute Pitch competition for younger members where she presented her research on real-time vehicle to vehicle transactions. The winner of the competition was CMU PhD student, Jacob Ward.